Posted in Conferences, Equipment, Evaluation, Free-Choice Learning, Museums. Software – Why Can’t it Just Work? Every week we have two lab meetings, and during both we need to use online conferencing software. We’ve been at this for over a year, and in all that time we’ve only managed to find a free software that is marginally acceptable (Google Hangouts). I know that part of our problem is the limited bandwidth on the OSU campus, because when classes are out our problems are fewer, but even with adequate bandwidth we still can’t seem to get it to work well. Feedback, frozen video, plugins that stop working. It’s frustrating, and every meeting we lose at least 15 minutes to technical issues. Someone in the lab commented one day that we always seem to be about a year ahead of software development in our need. Online meetings, exhibit set ups, survey software. Every time we need something, we end up cobbling something together. I’ve decided to take these opportunities as character building and a testament to our skills and talent. Still, it’d be nice to spend time on something else once in a while. First, regardless of operating system, set the Stream Profile drop-down to H.264 (this doesn’t affect or matter to what you have set for recording through Milestone, by the way – see earlier posts about server load), and then Default viewer to “AMC” for Windows IE, and “Server Push” for Other Browsers. Our climate change “exhibit” is rapidly losing its primacy as an exhibit on which we do research to instead becoming a research platform that we set up as an exhibit. The original plan was to design an exhibit on a multitouch table around climate change and research, among other things, how users interact and what stories they choose to tell as related to their “6 Americas” identity about climate change. After Mark attended the ASTC conference, in talking with Ideum folks and others, we’ve decided what we really need to build is a research platform on the table, with exhibit content just as the vehicle for doing that research. That means instead of designing content and asking research questions about it, we’re taking the approach of proposing the research questions, then finding content to put on that allows us to investigate those questions. The good news is that a lot of content already exists. -How do people respond to the table, and what kinds of tools do we need to build so that they will respond, especially by creating their own narratives about the content? -How can we extend the museum’s reach beyond the building itself, for example, by integrating the multitouch exhibit and handheld tools? What is the shelf life of interactions in the museum? -How can we help facilitate visualization understanding through simulations on the table where visitors can build comparisons and manipulate factors in the data to create their own images and animations? What other questions with the multitouch table should we build research tools to answer? Posted in Equipment, Exhibits, Free-Choice Learning, Research, Research Tools. With all the new wave exhibit work, visitor center maintenance, server changes and audio testing that has been going on in the last few months, Mark, Katie and I realized that the Milestone system that runs the cameras and stores the video data is in need of a little TLC. Next week we will be relabeling cameras, tidying up the camera “views” (customized display of the different camera views), and checking the servers. We’ve also been having a few problems with exporting video using a codec that allows the video to be played on other media players outside the Milestone client, so we’re going to attempt to solve that issue too. Basically we have a bit of camera housekeeping to attend to – but a good tidy up and reorganize is always a positive way to start the new year me thinks! Before the holidays, Mark had also asked me to try out the newly released Axis network covert camera – which although video only, is much smaller and discreet than our dome counterparts, and may be more useful for establishment angles, i.e. camera views that establish a wider view of an area (such as a birds eye view), and don’t necessarily require audio. With the updated wave tanks going in, I temporarily installed one on one of the wave kiosks to test view and video quality. During the camera housekeeping, I’m going to take a closer look at its performance to determine whether we will obtain and install more. They may end up replacing some of the dome cameras so we can free those up for views that require closer angles and more detailed views/audio. 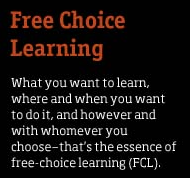 Posted in Equipment, Free-Choice Learning.